As is turns out, Santa knew I was a good little girl this year, and surprised me with an extra generous visit. He has the most exquisite taste and always knows exactly what I love. I highly recommend his selections this year, and thought it might be nice to pass them along to you. First of all, he gave me two powerful books of poetry by female writers. I'll be snuggled up by the fire savoring delicious words. The first is Here, 2010, 27 poems about life on earth, by Wislawa Szymborska, who was awarded the Nobel Prize for literature in 1996. The second is World Enough, 2010, poems about how we come to know ourselves, by Maureen N. McLane, who received the 2002 National Book Critics Circle Nona Balakian Citation for Excellence in Reviewing. 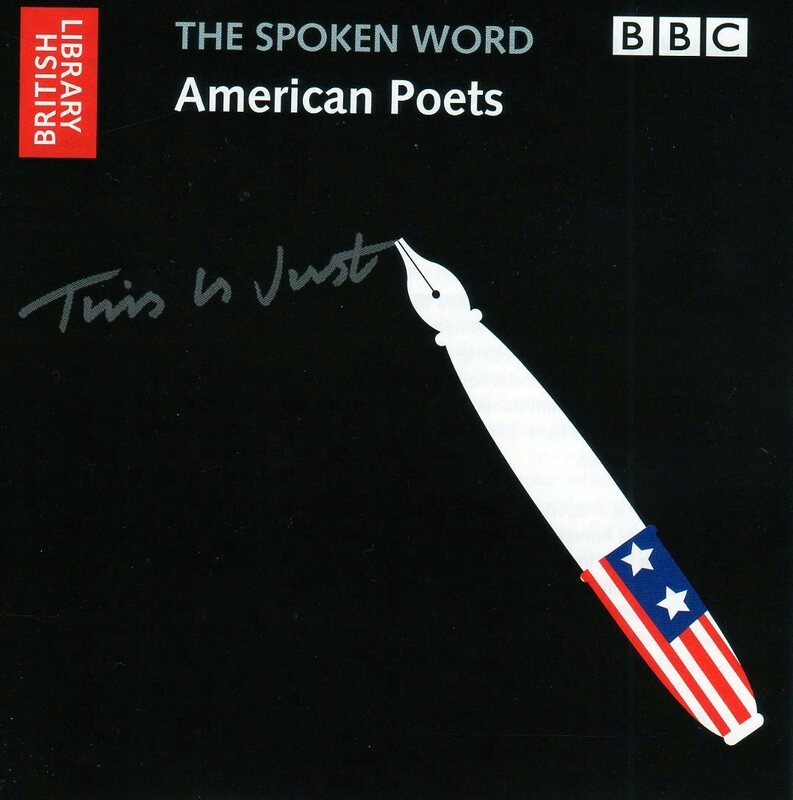 Santa Baby also knows I've started posting audio recordings along with my printed piece, so I was especially thrilled to get The BBC's three disc set, The Spoken Word, American Poets. It's an incredible 209 minutes of 30 prominent poets reading their own works. There's something very special about hearing the poets' interpretations in their own voices. The only poet noticeably missing was my dear friend, Ms. Edna St. Vincent Millay. How could they possibly have forgotten her? 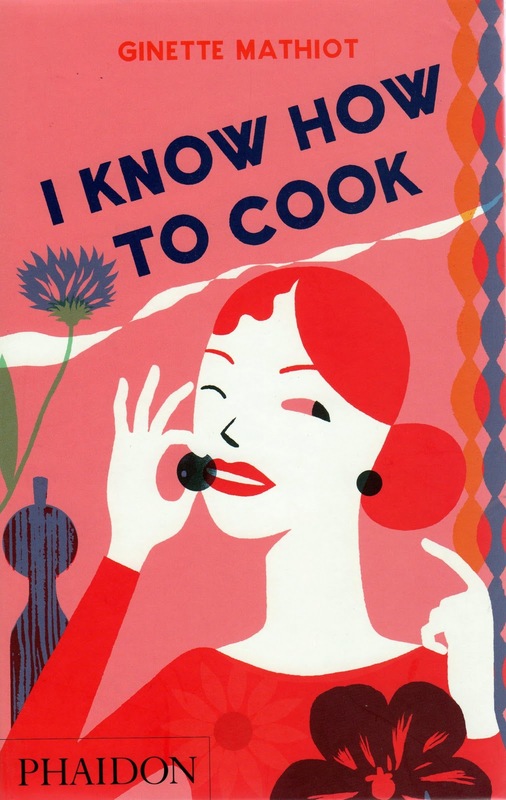 Last, but not least, Santa left the whopping 5.2 pound, 975 page I Know How to Cook, by Ginette Mathiot, which has sold over six million copies since it was first published in 1932. It's a beautiful, updated version with lots of charming illustrations and gorgeous photos. Stay tuned in 2011 for some luscious French cuisine. I'll be cooking up a whirlwind and passing the recipes on to you. Yum. Oh. Yum. Batten down the hatches! Thank you for all your warm and wonderful holiday wishes. I'm taking it easy this week, enjoying lots of family around the fireplace, eggnog and woolly socks, but will be slowly making it around to your spot in the bloggyhood soon. Hope you're enjoying your week, my friends. Heehee, yeah, I didn't say I wasn't naughty, just not SO naughty! Enjoy time with your family, Tess. My daughter Heather gave me this small gift, very soft which was driving me crazy because I knew she knitted it and I wanted to know what it was. When I opened it yesterday it was woolly socks and warm mittens and who did I think of the moment I opened it? YOU!!!!!!!! I'll take a picture and post the blog soon.... this week. Your poetry stash sounds amazing. Happy savoring! A little naughty spices things up a bit. Your books are wonderful. Santa knows you well. I've heard some excerpts from The Spoken Word, but I didn't realize that you could buy the entire series. Thank goodness my birthday is coming up soon! Great presents! Have a wonderful holiday week! Great post as always. But especially nice, to hear about poetry for Christmas. And a great cookbook! While you snuggle up by the fire savoring delicious words, we stretch out on under the beach umbrella doing the same. I have just finished watching a book review program of suggested holiday reading wondering how you would ever choose from such a variety of wonderful selections. You must have been a very good girl. What an awesome haul. Merry Christmas to you an all at Willow Manor. Just perfect gifts..can't wait to hear more about them here! Enjoy this week and cheers to a happy new year! Well, it sounds like Santa gifted us richly when he gifted you! Happy New Year, Tess! Merry Christmas, peace and joy to you and yours and all the very best for the New Year! Naughty or not - maybe because you are naughty - you certainly must be Santa's favourite! Wonderful gifts. Looking forward to samples from your new cookbook. Enjoy a warm and woolly Boxing Day! I found an audible version on you tube of Edna St. Vincent Millay. The portrait of her moves as if she is talking...which is a little bizarre but love hearing her voice. Bought my sister and myself he biography Savage Beauty a couple years ago.. by Nancy Milford..(she wrote the bio of Zelda Fitzgerald back in the early '70s)I love bios. Looks like you 'gots'lots of yummy reading ta do! Great gifts and thanks for sharing! Hmmmm. Very nice gifts. I wonder what poetry books the really naughty poetesses have gotten. 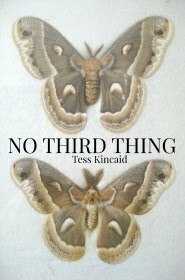 Either way, have a beautiful Christmas holiday and new year, Tess. You have a wonderful winter's reading. I too, love Szymborska and have am 3/4th way through her "New and Collected Poems" which is 270 pages of her wonderful way of saying things. I recommend it when you finish "Here". WOW! What great Christmas goodies! Hope you have a wonderful 2011. That's what you get if you're "not so naughty"? I think Santa has the wrong impression of me! Merry Christmas, Willow, and glad to hear you're enjoying this wonderful time! Enjoy that lovely cookbook. I am going to have to check it out myself! I love what Santa brought you and look forward to seeing what you will do with these gifts. Enjoy and relax. Turns out we will be doing the same here as our travel plans have been thwarted by a major snowstorm. I am secretly glad. Merry Christmas! Someone seems to know you very well. With poems, I like to read them one at a time so I can savor what the poet has to say. hope you are warm and cheerful at the Manor. All Best Wishes to you for the New Year 2011! Blimey, you must have been very good indeed, or good at showing Santa your best side, at least. Sounds like you have some nice gifts there. I really like yours books... nice titles! Hope you had a marvelous Christmas. Good of you to jerk me into remembering I've not read Szymborska. I scurried to some online examples of her work. She has elements that interest me a lot: negative assertions ironically overcome, lists of images that 'add up'. I never get over the writers who manage to make it through oppressive times. I would not want to work for Polish railways during WWII, nor would I wish to be an 'intellectual' during Stalinist times. Heard a whole set of lectures on Shostakovich recently -- same prob: how to stay alive and still do what is going to get you killed. cyber waves of the planet. each time you record one. A cookbook weighing 5.2 pounds... Wow. I'm expecting a lot from it, you know! I LOVED the bunt pan chicken! I cooked it and it was a success. Merry Christmas and Happy New Year! 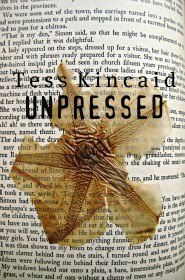 Tess I would say you have a lot of wonderful reading to delve into!! May the sun always shine upon your window pane. Isn't it lovely when Santa fulfils our dreams - nothing to do with cost - more to do with love and listening I think. Have a pleasant few days to see the year out - and a Happy New Year to you all. So long as you aren't so engrossed with your gifts that you forget us, that'll be fine! Enjoy your Manor gatherings and a Happy New Year to all! So happy for you , Tess. Stay warm and cozy and inspired. Mercy, I don't think I've ever seen a 975 page cookbook. Love Szymborska- happy wooley socks reading to you! I am really glad to read about Wisława Szymborka at your blog!!! Her poems are great!!! Hope your are going to have a wonderful New 2011 Year!!! Wishing you the very best of everything in the coming year. You made out like a big dog, as they say in my neck of the woods. Amazing how Santa always knows what's best for you. To listen to Edna reading her poetry, go to youtube and search for "edna st. vincent millay reads." You'll find examples without the facial gimmicks. There is another great collection on cds of poets reading their own material. The four cd "Poetry on Record: 98 Poets and Their Work, 1888-2006" includes two by Edna -- Recuerdo and Love Is Not All. Synchronicity: I just pulled down my Szymborska volume yesterday before reading this from you . . .
What great gifts! So many poets to read, so little time....I'm up to over 400 books of poetry and counting. Now I must have the Wislawa Szymborska book, too!! I love your blog. Bee, I tried to use Photoshop and found it was a bit too technical for me. Kim, Milford's "Savage Beauty" is an excellent book. After reading it, Ms. St. Vee and I became fast friends. June, I'm adding Szymborska's "New and Collected Poems" to my library list right now! Thank you! Glenn, I know what you mean about poets often reading their own works strangely, as if they've given birth to the baby and are frightened of it! Maria, I have heard Edna St. Vincent Millay read her work, but still surprised she wasn't included in the BBC's collection, since I consider her a major American poet. Virginia, I actually thought of you, when I opened Szymborska's book, and wondered if you were familiar with her, being Polish. I believe she lives in Krakow. Fabulous gifts from Santa and fabulous photo of you in your side bar. If I'm not around again before the 31st - a very happy New Year to you and your family. What nice gifts! I can´t believe it but it probably is the first year ever that I did not receive a book for Christmas. My favorite gift this year was cooking lessons with the chef Sam Clark from the Moro Restaurant in London. Loving his cookbooks, and I am excited to see & taste what we will learn. Have a continues great Holiday and HAPPY NEW YEAR! Everyone gets The Celebrate Blogger of 2010 Award in Short Stories Honorable mention! Even as a child my favorite gifts under the tree were books...often poetry books:) It still doesn't seem like Christmas if I don't get a book or two:) Love your recommendations! And I have loved visiting Willow Manor throughout the year...always something new and interesting to be found here! After reading Savage Beauty, I had had no idea she was so adventurously 'open' shall we say to life. Glad to know that. 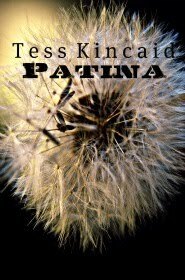 And am so entralled and amazed she could have been so young to have written Renascence~one of my very favorite poems when I read it in high school. Still love it. I could feel everything in that poem when I laid in the grass and recollected the memorization of it. I have the distinct impression that Good Ol' Santa loves girls with just a hint of naughtiness and that certain twinkle in their eyes! I was only now able to enjoy your wonderful Christmas/wintertime movie list, thank you for putting it together. I happened to watch "Onegin" a few days ago on TV, great movie indeed! Have you looked into ACDSee? Great tool, easy to use and gives you lots of photo editing options, according to friends whom I trust. Merisi, thanks for suggesting ACDSee. I must check it out! Glad you enjoyed Onegin. 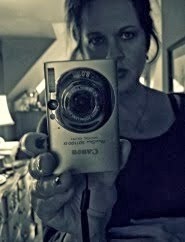 Liv Tyler is haunting, don't you think? You may be able to download a free version of ACDSee and play with it. Let me know if you have any questions! I am glad to know ,you remember about me:). As far I can remember I have introduced Szymborska to you, haven’t I? You were posted about Czesław Miłosz once and then we exchanged our comments:). 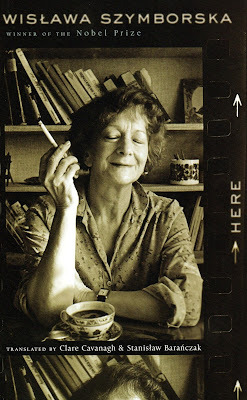 Szymborska lives in Kraków, you are right! Unfortunately it is in Polish but you can see what Woody Allen says about Szymborska.